Here comes the first fashion week in the Big Four schedule - the New York fashion Week with its collections for SS16. 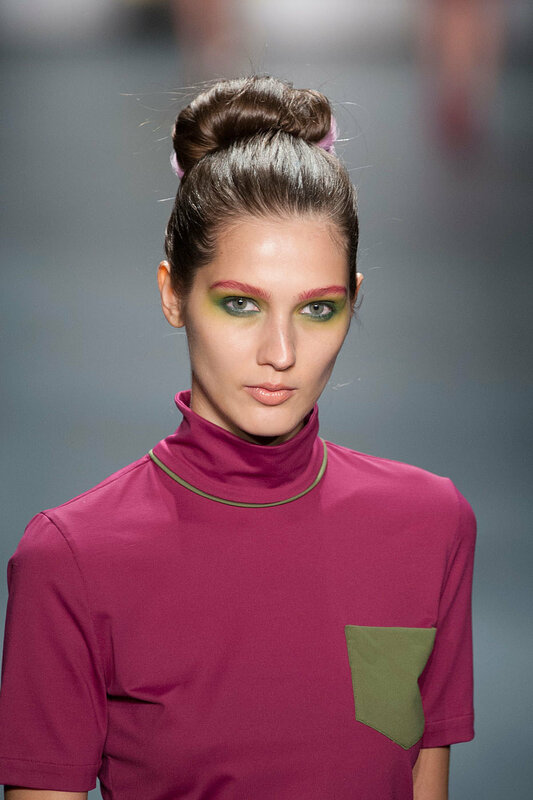 And we are eager to see the hairstyles 2016 promoted by the best hairstylist and designers. What will we see? First of all natural hairstyles. This is again the main slogan for hair trends of the coming season. 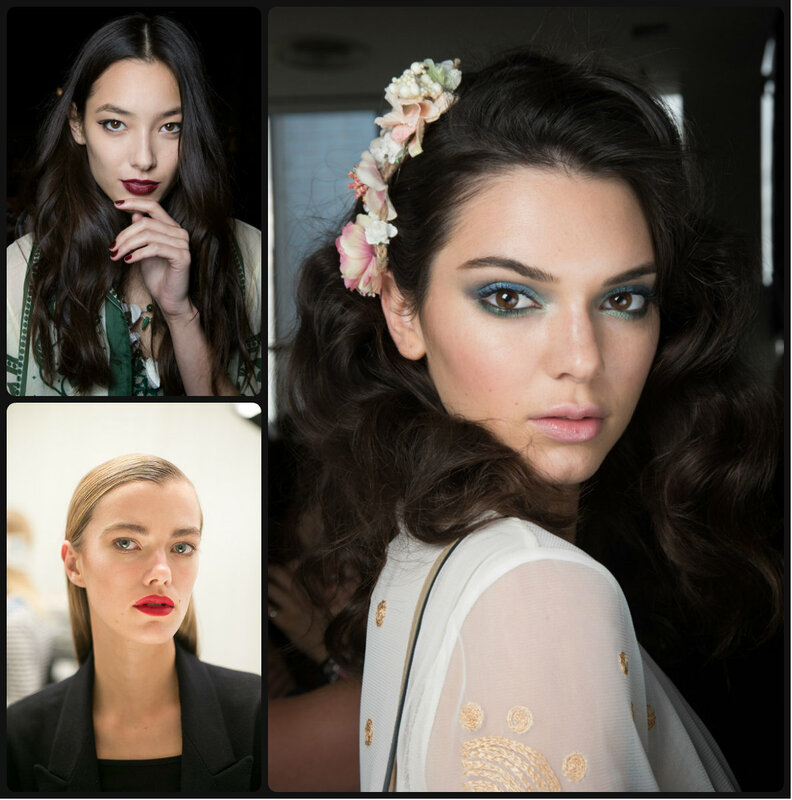 Designers say that they tried to create easy hairstyles that can easily transfer from day looks, into night life. The poplar hairstyles that look like you have just been in bed asleep, and just arranged tresses slightly to go out, the hairstyles that look very simple, yet need time to make them look so natural. All the simple updos and wavy hairstyles, bob cuts and wet effect hair are set in one place waiting for you to look through them to find your best hairstyles for the next spring and summer. So better have a look now to be definitely on-trend when the time comes. 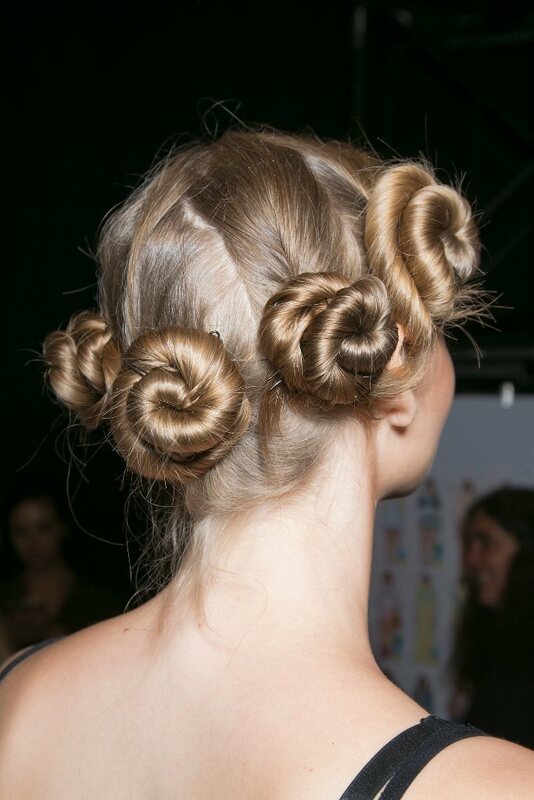 The presented updo hairstyles are both fun and juvenile, and elegant too. The multiple buns and accurate side roll all look very fresh. 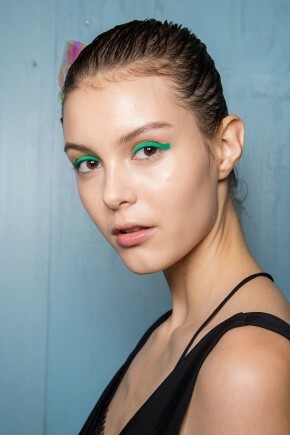 Bun hairstyles together with top knots have been very popular during the last season too, due to the fact that it is easy to design them, and also because long hairstyles have been in the mainstream. Here are some fresh looks. There was time when all the hair gurus were trying to invent some new hairstyles with braids, playing and mixing styles. 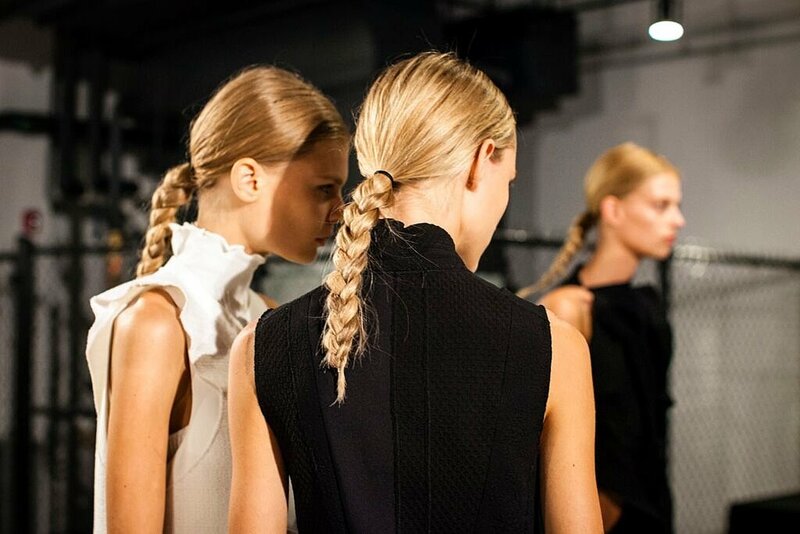 But what we see now are plain and simple French braids. And they are awesome indeed. As you see simplicity is one of the main goals for hair trends 2016 and these updos are the living embodiment of the brand new tendencies. Center parted of deep side parted, easy updos will definitely rock the SS6 season. 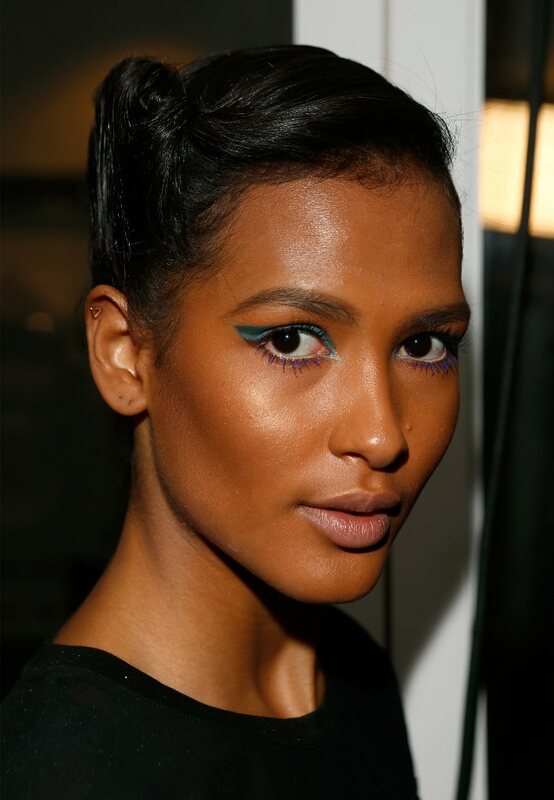 Here we come to the most vivid and colorful hairstyles of the fashion week in New York. 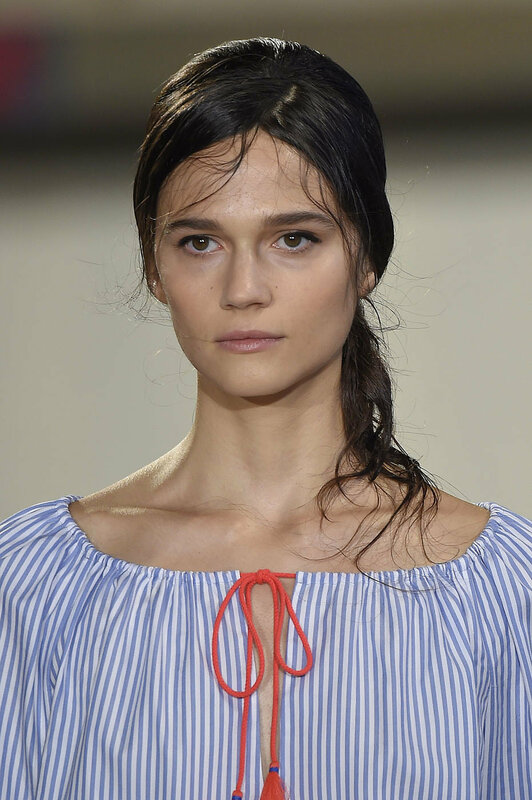 Diane von Furstenberg has created the retro wavy hairstyles that are incredibly cute and girlish. She mentioned herself that she was seeking for looks as if hair dried by its own after coming out of water. She said all girls need to do is to fix hair on one said with a summer flower. These looks resemble the retro styles from 1970’s, the designer confessed, and they reflect the careless times of her own youth. Among all the long hair, we managed to spot some cute wavy bob hairstyles for 2016, that can be left with hair loose or fixed with a small hair accessory. Loose hairstyles in New York were either extra simple hairstyles or represented almost authentic dread hairstyles. And even though you may find dreads very funky, looking at the above image you will get convinced that it is quite tender and feminine. 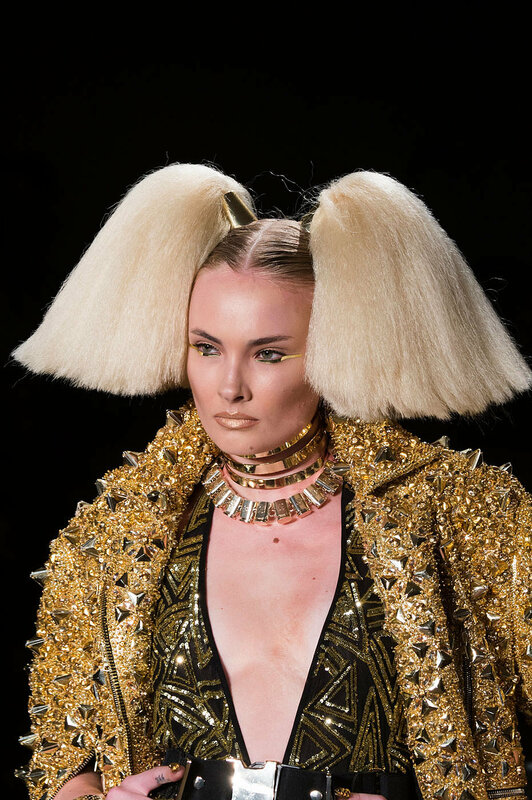 As you can see wet effect hairstyles are still in fashion, as if out of water hairstyles designed by Guido Palau last year, are seen on the runway even now, so greasy hair can still look trendy.